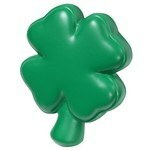 This 4 Leaf Clover Shaped Stress Reliever is soft and squeezable and made from polyurethane material. Airplane Stress Reliever are creatively designed toys that help beat your stress at work. 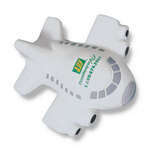 Promote your business in the best way possible using the Airplane Stress Reliever. 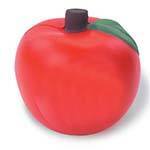 Promote your business in the best way possible using the quirky Apple Stress Reliever. This foam stress reliever is available in red with black color print. 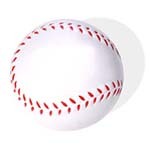 Promote your business in the best way possible using the quirky Baseball Stress Reliever. 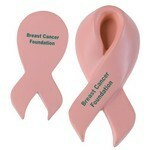 This foam stress reliever is available in white with black color print. 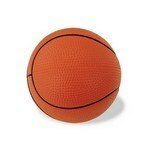 Promote your business in the best way possible using the quirky Basketball Stress Reliever. This foam stress reliever is available in orange with black color print. 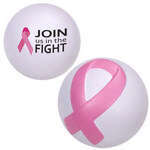 The beach ball stress balls are an interesting and enjoyable way to create brand awareness. It is available in multi-colors. 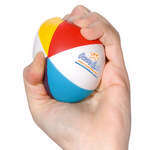 Go all out and campaign about your business using the Beach Ball Stress Reliever. 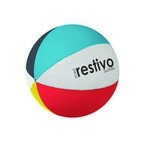 Get great deals by using the Beach Ball Stress Reliever for all your promotional activities. 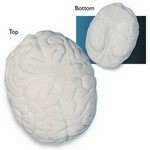 Get great deals by using the Brain Stress Reliever for all your promotional activities. Give away this customized grey stress reliever with your company's logo imprinted on the side at tradeshows, conferences and dental conventions. The Cloud Phone Stand Stress Reliever made of Polyurethane is designed to cradle your cell phone and other desk items and can also be used as a paper clip. 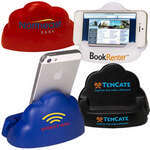 The cloud stand is available in several bright colors and will prominently display your brand on its front. Construction Cone Stress Reliever is a creatively designed toy that helps beat your stress at work. 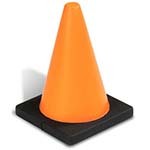 Promote your business in the best way possible using the Construction Cone Stress Reliever.